One of the most successful Destination South Australia Events has taken place last week with 42 delegates attending a series of events including famils in both The Barossa & McLaren Vale on Friday and Adelaide Hills on Saturday. Our guests were shown some of the very best aspects of this great city and state and we thank all those wonderful members who assisted the event with hosted breakfasts, lunches and dinners and some incredibly memorable activities. 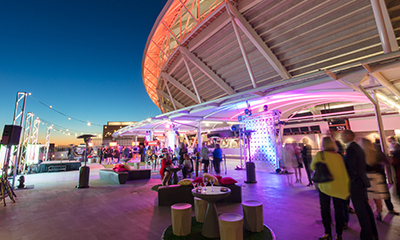 A special thanks to The Adelaide Convention Centre and Simon Burgess for their support in hosting the Business Exchange and to Shelagh Stanbridge and April Hancock at Adelaide Oval for hosting the Welcome Dinner on Wednesday night which was a sensational way to launch #DSA2018. Of course there are many people who make this event possible but from everyone at The Bureau, we thank the members who went above and beyond to showcase what this great State has to offer. 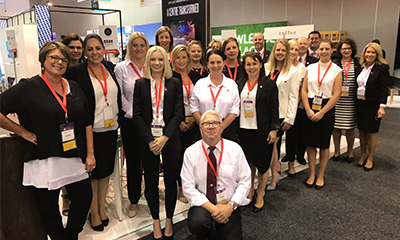 The two day tradeshow held at The Melbourne Convention Centre offered a wonderful platform for South Australia to showcase products and offerings whilst meeting with key buyers from the Asia-Pacific Region and the feedback from all the attendees has been positive with many strong leads established. Hotel Grand Chancellor, Adelaide Expo Hire, All Occasions Group, Adelaide Hills Convention Centre, Majestic Hotels, Adelaide Oval, Adelaide Sightseeing, SkyCity, National Wine Centre, Hahndorf Accommodation Group, Accor, Adelaide Convention Centre, Intercontinental.